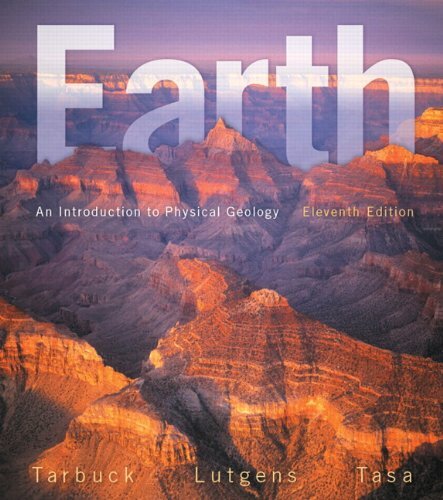 With its strong focus on readability and engaging, instructive illustrations, this trusted bestseller returns in a new edition with a bold new look, new contributor Callan Bentley, interactive “SmartFigures,” and a highly anticipated learning path that facilitates active learning.Earth: An Introduction to Physical Geology, 11/emaintains its highly visual, non-technical survey and up-to-date coverage of foundational physical geology principles. 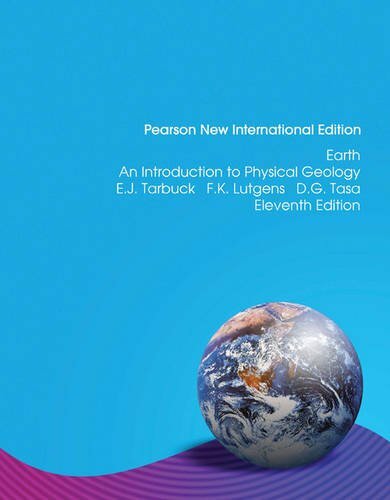 The authors’ emphasis on currency and relevance includes the latest thinking in the field, particularly in the dynamic area of plate tectonics. Tasa joined the author team. Since then the three have collaborated on more than twenty projects. Not only do Tarbuck, Lutgens, and Tasa work well together creatively; they also enjoy spending time in the Sangre de Cristo Mountains near Tasa's New Mexico studio. Tarbuck enjoys downhill skiing in Colorado, fly fishing near his childhood home in Northern Minnesota, and spending time in the Cascades. Lutgens is an avid runner, and when he can make the time, truly enjoys hiking the canyons of the Colorado Plateau. Although Lutgens and Tarbuck think alike on many issues, they don't agree on everything. Lutgens is devoted to jazz and classical music, whereas Tarbuck prefers pop artists or a good country station.